From not-so-secret speakeasies to retro-fitted Victorian toilets and themed late night drinking dens, here's what London has to offer below ground level. A (fake) abandoned Underground station reinvented as a 1940s-themed cocktail bar, Cahoots is inspired by its history as a second world war air raid shelter. 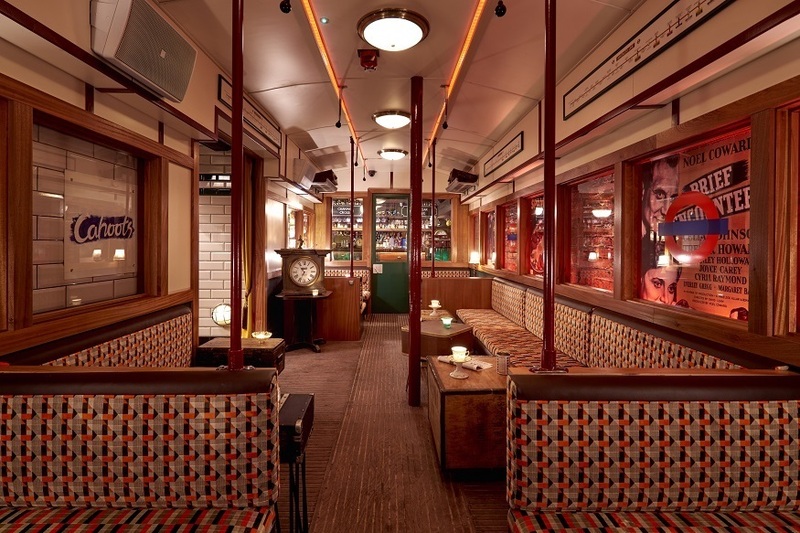 Everything about this venue has been carefully chosen to transport drinkers back in time; swish wooden escalators lead down to the restored tube carriage bar where guests can sip their cocktails from war time thrift hip flasks, old milk bottles and tins. Entertainment includes swing dancing, sing-a-longs around the piano, and jazz nights. 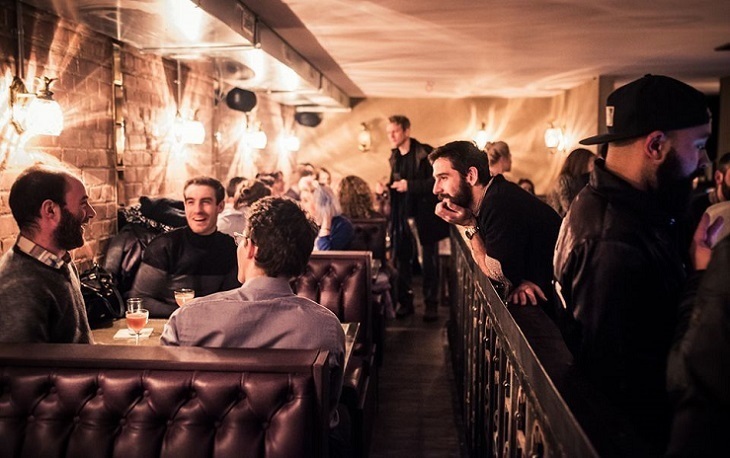 If gin's your tipple, head to 214 Bermondsey (underneath restaurant Antico). 80 different varieties of Mother's Ruin are available, alongside their own hand-crafted tonic water. 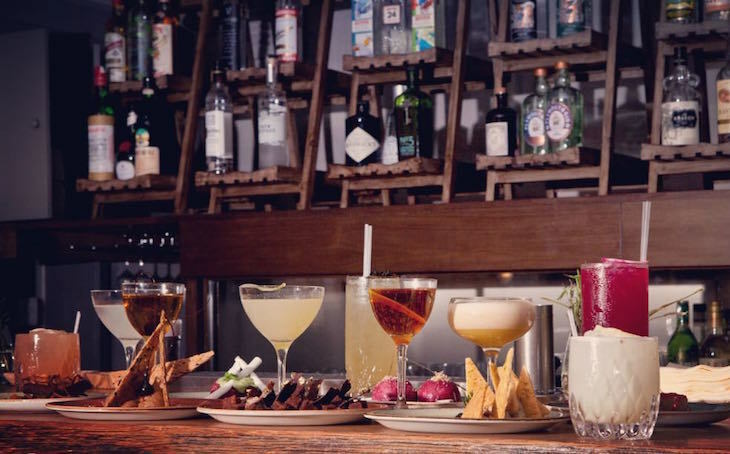 Themed tasting flights allow you to sample several different varieties at once: pick from The Great British Gin-Off and Tour of London, each offering three related drinks for £18, and tasting notes for proper gin geeks to pore over with glee. 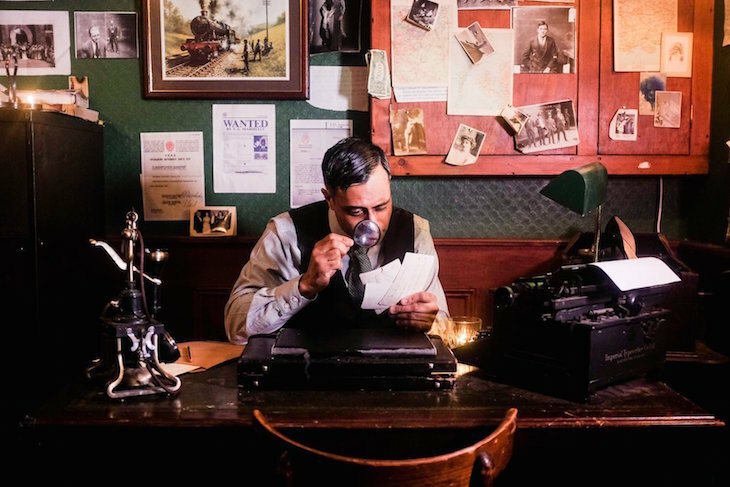 One of a veritable fleet of 1920s Prohibition era-style speakeasies popping up all over town, Evans & Peel Detective Agency comes with the added excitement of having to complete a role play through an intercom with a 'detective' in order to get in. Shabby faded glory is the order of the day, with age spotted mirrors, cracked white tiles and filament bulbs galore, which make it a bit on the gloomy side. However, there's nothing shabby about the top draw cocktail list, which includes twists on old favourites such as 'The First Date' daiquiri, with added date and chilli syrup. 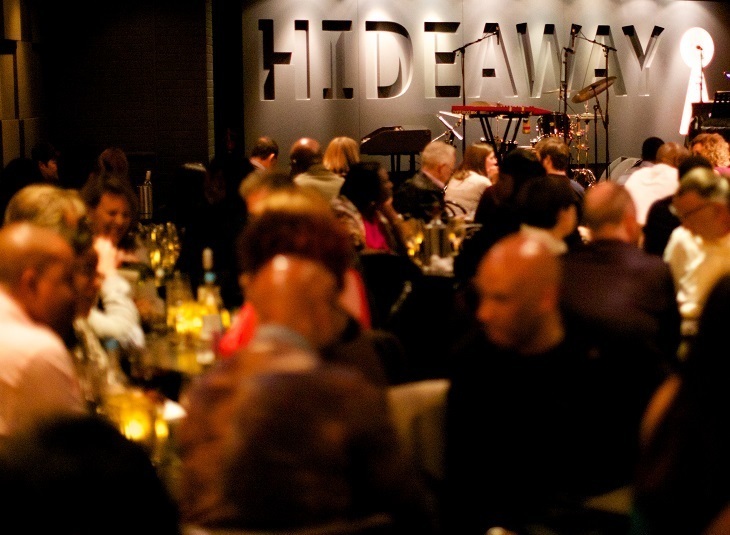 South London's answer to Ronnie Scott's, Hideaway puts Streatham on the map. A spacious cabaret-style restaurant and wine bar a stone's throw from Streatham station, this popular local venue is one of the best places in London to listen to jazz, soul and blues music. Much less crowded than Soho, it's easy to get in, tickets are rarely more than £15, and the standard of performers is sky high. 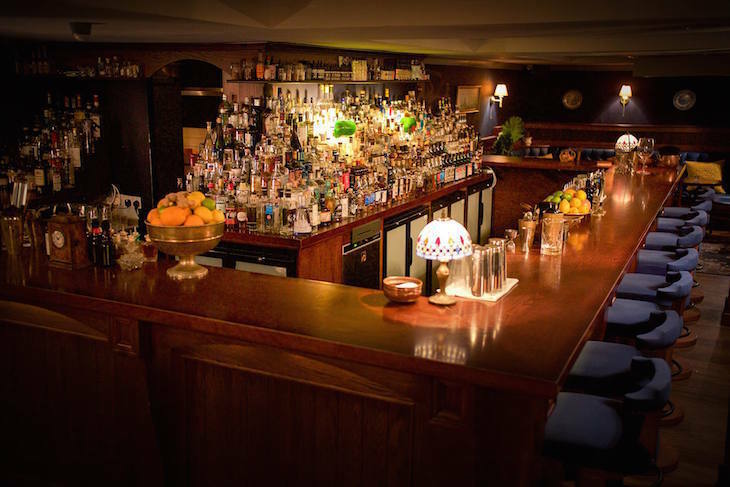 Embrace your inner Bertie Wooster at Merchant House on Bow Lane, an upmarket cocktail bar where all the drinks are themed around British history. Found underneath a hidden courtyard not far from Cheapside, this oak-panelled hideaway oozes old world class without feeling elitist. 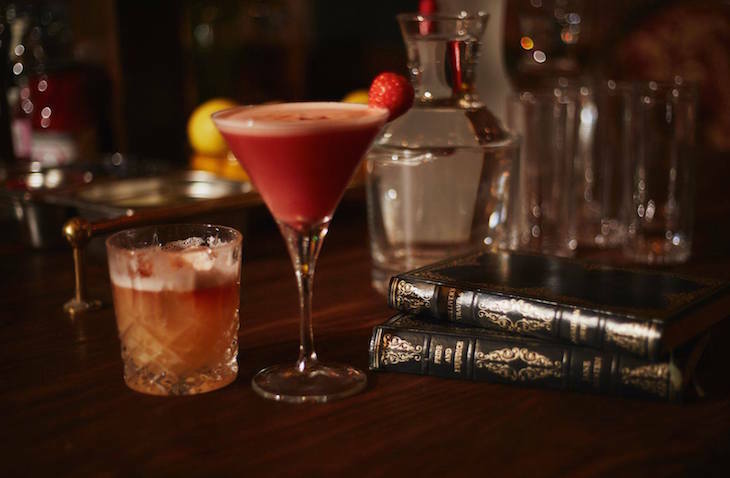 The drinks menu is set out like a book with beautiful illustrations of each drink alongside intriguing titles such as 'Tarred and Feathered' (rum and salt) and 'Fields of Gold' (poitin, oat milk, house orgeat, buttered genever, malt). The sophistication extends to the bar snacks which include oysters and game terrine pot. A candlelit wine bar and charcuterie in the most unlikely of places... a former public toilet right next to Clapham Common tube station. 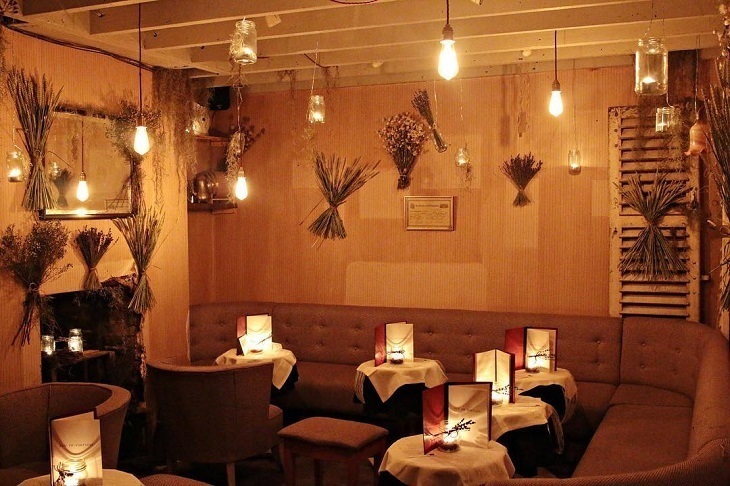 Perfect for date night, the tiny venue retains the faded glamour of its original Victorian features, which have been up-cycled into bookable booths. An ever-changing wine list encourages experimentation. We swapped the Sauvignon for some Gruner Veltliner, an Austrian wine that would go down very well with one of the cheese and charcuterie sharing slates which include such delights as duck salami and brie de meaux. 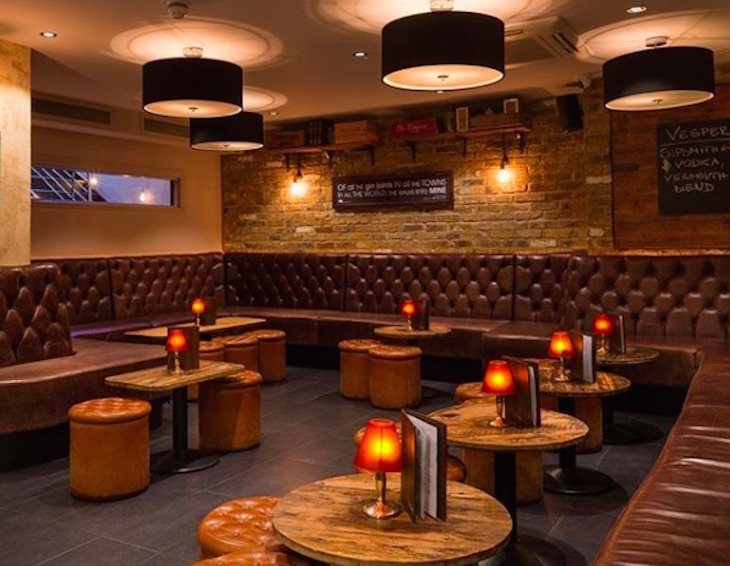 With a similar vibe to perhaps the most iconic of all London's underground bars, Gordons on Embankment, you'll need to get there early to be guaranteed a spot. 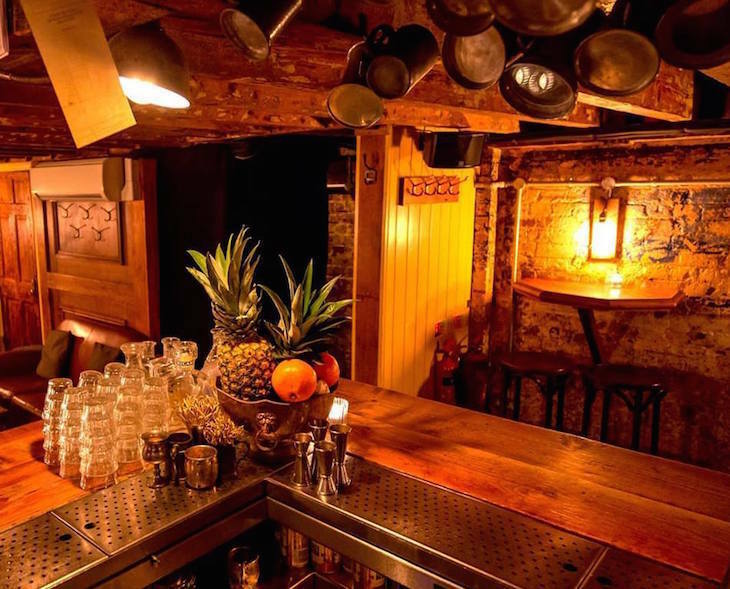 For other subterranean bars in former toilets, check out Ladies & Gentlemen in Kentish Town and its newer venue in Camden Town. One for the rum lovers, this delightfully tacky Tiki bar wouldn't look out of place in an Austin Powers film. 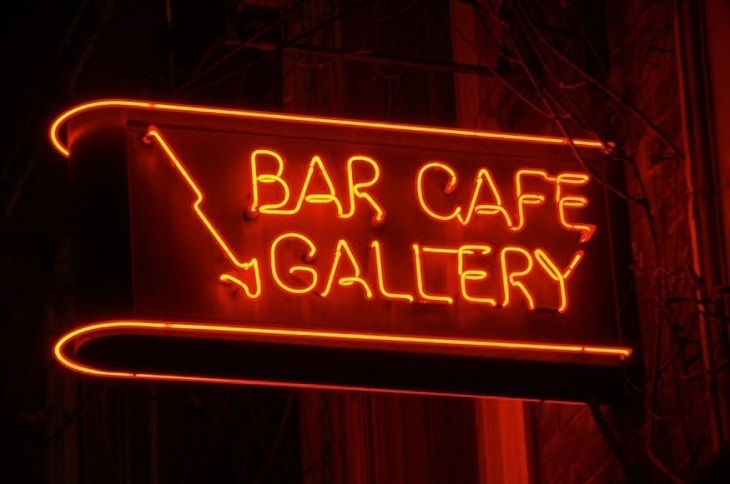 It has a well-deserved reputation for customer service, with knowledgeable bartenders. Groups can book a cosy booth and get companionably toasted with lethal sharing bucket the Don Zombie, which contains five different types of rum, maraschino, citrus angostura bitters, grenadine and (as if all that wasn't enough) absinthe. What is the one thing that can make a good cocktail bar better? Combining the drinks with gorgeous puddings, of course. Founded on the same kind of ingenuity that gave us the Cronut, this Soho spot has hit on one killer USP. From tonka bean chocolate lava cake to marshmallow and ginger curd crumble, there are some impressive flavour combinations here for those with the sweetest of teeth. The sugar rush continues on the drinks menu with such intriguing options as The Jessica Rabbit (gin, carrot juice, golden syrup and elderflower) and Not a Pornstar (Bourbon, Aperol, passion fruit, vanilla syrup, egg white). A scattering of candles on the pavement and an exquisite stained glass windows are two of the scant clues that Reverend JW Simpson occupies the site of an old rectory. Another, of course, is the name — but other than that, this cocktail bar has resisted the temptation to go all-in with the church theme. Inside, it's reassuringly bereft of religious iconography, instead plumping for an aesthetic that's more shabby chic than sacrilege. That said, its disciples' — that's what they call the bartenders — devotion to crafting divine drinks is practically evangelical. Congregate here for luscious libations like the sinfully rich Cygnet: a rum and coffee liqueur concoction featuring homemade muscavado and black pepper syrup, and artisan Irish whisky cream. Or, if you're up for something a little educational, wait for one of the Reverend's 'Spirited Sermons', a cocktail masterclass themed around a particular liquor. This tailors' stockroom-turned-cocktail-joint off Petticoat Lane ticks all the usual boxes for a cosy yet stylish basement bar. Low ceilings? Check. Moody lighting? Check. Wood panels and exposed brickwork? Double check. What sets it apart — aside from it's intriguing East End heritage — is a short but oh-so-sweet list of forgotten classic cocktails that your bartender will whip up with lightning speed. The Neal's Yard cheese boards make for a unbeatable bar snack, too. 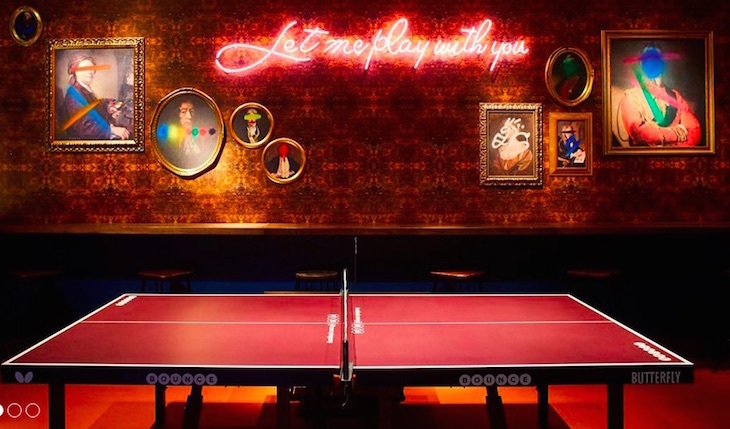 London's original ping pong bar has it all: booze, wood-fired pizzas, and high octane tabletop sport. Though Bounce accepts walk-ins, it's well worth rallying at least five of your most competitive mates and making an advance booking if you're planning a game during peak hours. If you're up for something a little more high-tech, you can show off your backhand over a round of Wonderball, which uses snazzy projection mapping in order to turn the table into a giant, neon-hued computer game. No-frills cellar bar Freud boasts some of the best value cocktails in central London, making it a much-cherished haunt for locals and savvy tourists alike. Despite having stuck around since 1986, with its chalkboard menu and rickety furniture, Freud looks like it could have been cobbled together just hours before you entered it. It's all part of its bohemian charm, though — which is amplified by the fact that the venue is the brainchild of Courtauld Institute of Art alum David Freud, who sought to recreate the spirit of the Viennese coffee bars that inspired his artist father, Lucian (yep, that Lucian). In most bars, you'd be shown the door for trying to smuggle in your own bottle of vodka, but B.Y.O.C isn't your average neighbourhood watering hole. Here, you're encouraged, nay, compelled to bring the booze. Simply select the spirits you like best, stump up the £30 entrance fee on the door, and hand over your liquor to one of B.Y.O.C's more than capable bartenders, who'll use it to create the cocktail of your dreams — with a little help from their ample selection of juices, syrups, and bitters. 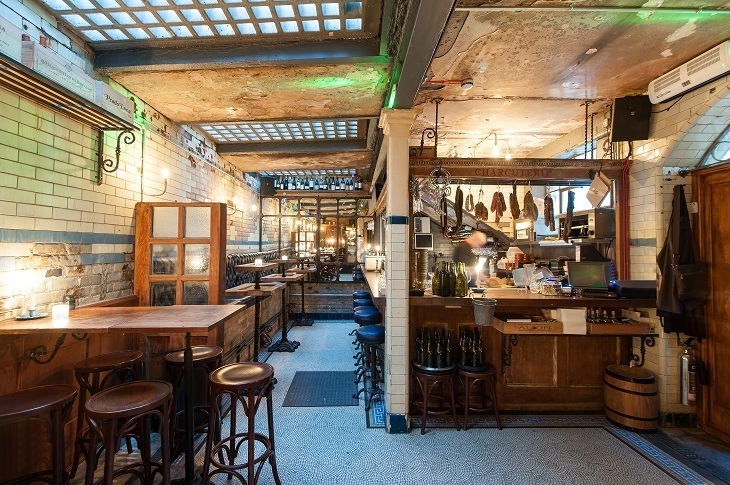 Find it under James Cochran's Barullo restaurant. The younger sibling of Hoxton's Happiness Forgets oozes the same playful, low-key glamour as its East End counterpart. Think chocolate-coloured leather booths behind wrought-iron railings, art deco-style sconces in the shape of pineapples, and a mustard-yellow pool table that's free to use. The menu is short but perfectly formed, featuring plenty of classic cocktails with a contemporary twist, such as a rose negroni or sherry-spiked daquiri.